Shenandoah Valley of Virginia since 1990. "Celebrating 28 Years of Service!" Or click on the briefcase icon below for additional details. 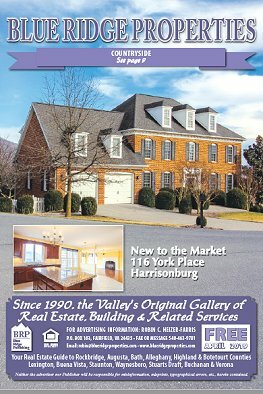 Blue Ridge Properties is available free of charge at hundreds of locations from Harrisonburg to Roanoke and all points between and some beyond including all of Rockbridge, Augusta and Botetourt Counties, and parts of Bath, Allegheny and Roanoke Counties, Amherst and Lynchburg. please click the briefcase icon below for details. invites you to visit our fine advertisers!